Nacer Bouhanni has won the fourth stage of the Eneco Tour. He fought his way to stage victory like a boxing champion. Defending champion Zdenek Stybar came down in a crash during the bunch sprint and was taken to hospital. 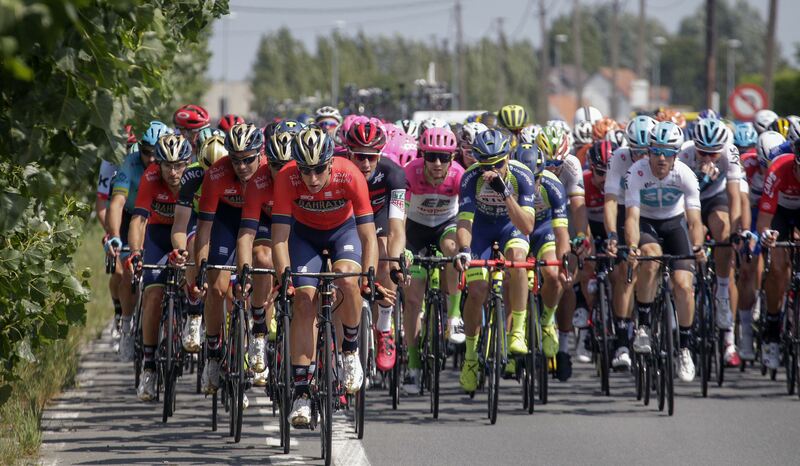 From Koksijde the peloton headed towards. 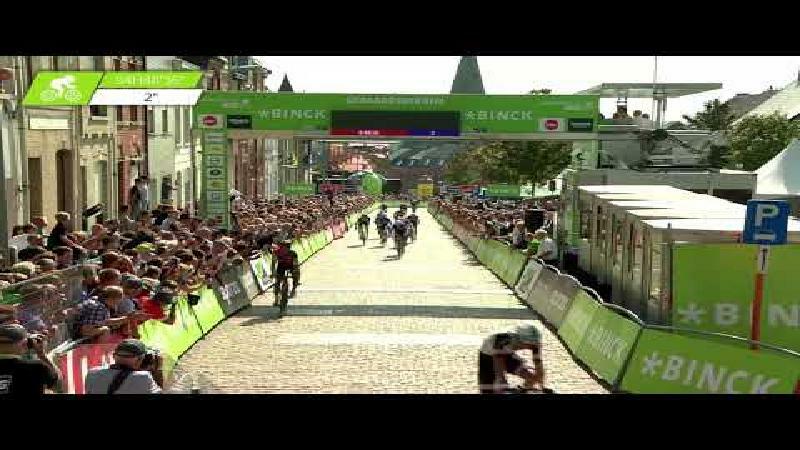 Last year Mark Renshaw won there after his Belkin teammates allowed him to. 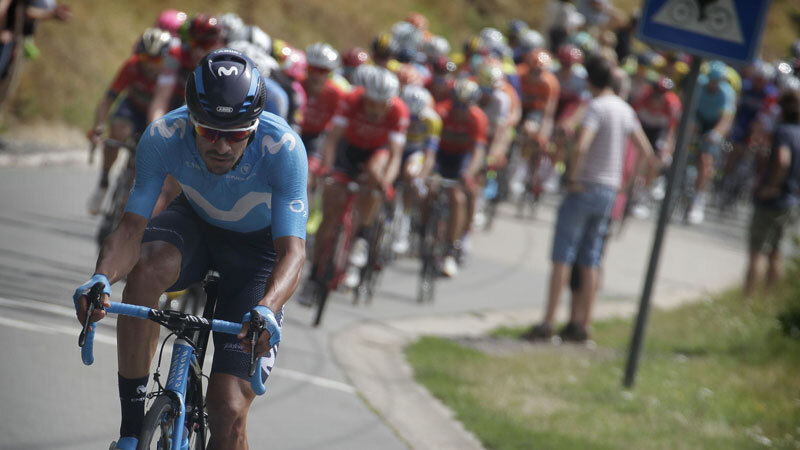 A similar outcome would be less likely this year as the sprinters teams hadn't had much sprinting success just yet in the Eneco Tour. Because of an intermediate sprint after only 7km the black jersey Kenneth Vanbilsen broke away with Frederik Veuchelen (team Wanty-Groupe Gobert). They quickly took a four-minute lead, but with 138km left still, Vanbilsen dropped back to the peloton. Ten kilometers further on André Greipel abandoned the race due to illness. Earlier Antoine Duchesne had abandoned as well. In the meantime Veuchelen extended his lead gradually, and his 6:20 at one point even made him a virtual leader overall. Yet, the rider from team Wanty-Groupe Gobert was not able to keep his lead as team FDJ started pulling the peloton. 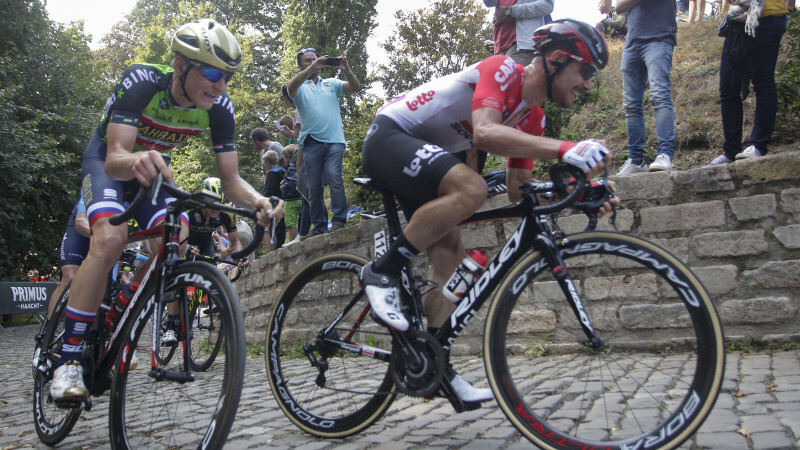 With 25 km left before the finish Veuchelen was caught and the race started anew: with Silvan Dillier and Daniel Oss team BMC proved very combative, the Italiaan even managed a lead of half a minute. The BMC rider was reeled in on time and in the last 7km the peloton geared up for a bunch sprint. A few riders crashed, including defending champion Zdenek Stybar crashed heavily and was taken to hospital. At the front of the bunch Nacer Bouhanni battled his way to victory. The French rider kept Luka Mezgec and Giacomo Nizzolo at bay. 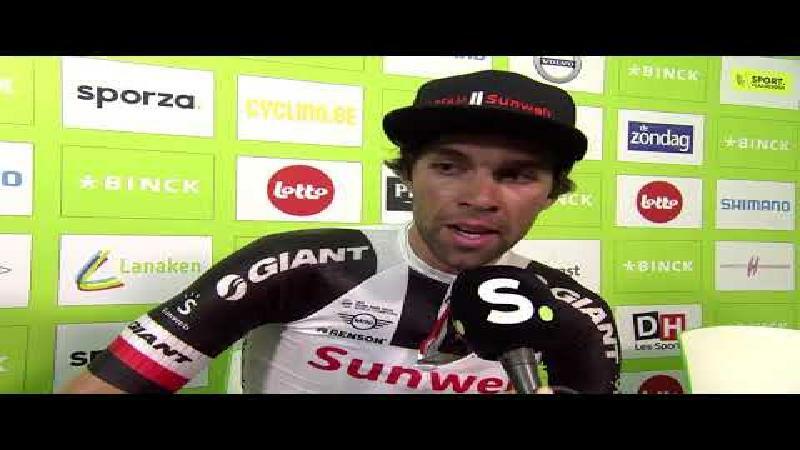 Michael Van Staeyen was fourth, Belgian champion Jens Debusschere fifth. Andrea Guardini is the new leader in the Lotto Points ranking. Lars Boom remains leader overall in the Eneco ranking.